Desktop Reprint Laminating Machine is one of the Laminating Equipments.This Laminating Machine is designed in view of producing of the small displayers and small touch control components.it is one of the necessaries of Touch Panel(TP) producing.and be used in the end producing process of TP,Tacking Polaroid Film on the Touch Glass according to the olarization Angle.Also suitable for variety of combination process which is formed with touch components and Windows protection.it can finish the sensitive laminating process between Film/film,film/glass,film/acrylic. Mainly Laminating Machines：Screen laminating machine,Big Film Laminating Machine;Automation Screen Laminating Machine;Vacuum Laminating Machine;Touch Screen Laminating Machine;Capacitive Laminating Machine;E-paper Laminating Machine(EPD Laminating Machine);Polaroid Laminating Machine;LCD Laminating Machine;Soft-Rigid Laminating Machine;Soft-Rigid Laminating Machine;Rigid-Rigid Laminating Machine. Mainly Suitable size 2-12.2inches Capacitive Equipments.such as Iphone,Samsung Phone,Samsung S3 S4,Samsung Galaxy Note2 Note3 ,Ipad,Tablets,etc.to auto laminate the TP with the Glass.Also can be Customized. This Laminating Machine uses PLC as the control center of the whole system,which To implement the laminating process.PLC controlled the pneumatic components by the specific output pulse output pulse.to make the LCD rotation platform according to the predetermined position for accurate movement circumferential direction to the specified location . 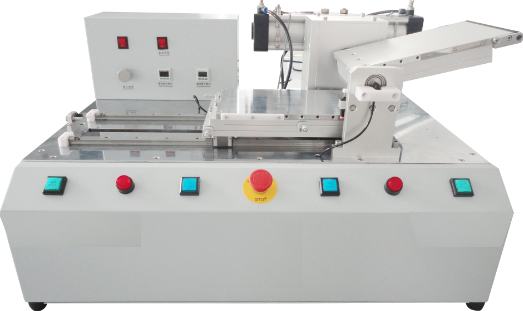 According to the products’materials,the Laminating Machine divided into Soft-Rigid Laminator,Rigid-Rigid Laminator.Soft-Rigid mainly including Desktop Overturn Laminating Machine,Screen Laminating Machine,Overturn Laminating Machine,Auto Screen Laminating Machine;Rigid-Rigid Laminator including CG Laminating Machine and LOCA Laminating Machine. This Laminating Equipment has the advantage :high efficiency,Convenient Locating,High Product Yield .Prevent the Bubble,gauffer，Halo ring，Water Waves compare with Manual Laminating.Also it is easy to set and operate, which is convenient for the workers to maintain and operate the equipments. Our Laminating Machine Soft membrane adsorption board is clever designed,Large area of solid adsorption, level off.